Never mind tablets, smartphones, and mobile-social-location-photo-sharing apps. Heck, never mind computers. The single most important technology of the last half-century, the one that has most drastically changed the day-to-day existence of very nearly everyone on Earth, remains the plain old GSM phone: unloved and half-forgotten in NYC and Silicon Valley — but still used by the billion in the rest of the world. That’s why Boston-based TxtEagle last week raised $8.5 million from a consortium including Spark Capital and RBC Venture Partners. Well, that plus a clever business model, a nifty technology platform, and partnerships with 220 mobile operators in almost 100 countries who between them cover 2.1 billion subscribers. 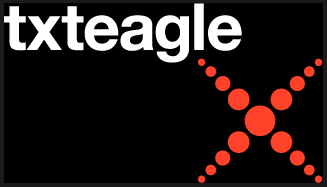 TxtEagle offers crowdsourcing and market research in developing markets. Clients such as UN researchers or advertisers hire them to survey masses of people; TxtEagle then forwards the survey (or other task) to thousands of individual members via their GSM phones, and pays them upon completion. You might guess that they communicate via SMS, and pay with cash — but no. “People think we’re an SMS-focused company, and we’re really not,” says Nathan Eagle, their CEO and co-founder. Instead they have built their own platform atop the USSD protocol that GSM phones use to communicate with their service providers. (For the techies among you, USSD is to SMS as telnet is to email.) USSD communications are free, which gives TxtEagle a huge advantage in emerging markets where a) virtually all mobile service is prepaid, and b) the 10 cents it costs to send an SMS is a hefty chunk of the mere $2-3/day that many people make. You would think the carriers would object to all this free communication over their airwaves — but they don’t, because of TxtEagle’s elegant business model: they pay their members in airtime, which they buy from the carriers in bulk. They’re also hooked into mobile cash services such as Kenya’s M-PESA, but their members generally prefer being paid in airtime, because it’s fee-free. Yes, that’s right; in the prepaid world, ie most of the planet, mobile airtime is becoming a currency as desirable as, and nearly as convertible as, old-fashioned cash. Interestingly, he’s skeptical about the forthcoming Android revolution that many believe will soon hit the developing world: “I’m not particularly bullish on how smartphones are going to radically empower emerging markets, when people still have to pay for every bit. The mobile phone has played a massive role in a large fraction of people’s lives, but whether smartphones are going to change things any further, I don’t know if I see it.” I think I ultimately disagree, but it’s a welcome note of caution amid the tidal wave of hype.